Acne is a common problem that affects many, and while it may not be a life-threatening disease, it's a condition that can affect quality of life. Last year, I had to deal with the worst acne of my life and it honestly affected my self-esteem. Fortunately, I found a solution in the use of retinoids, and recently discovered that the combination of AHA and BHA works so well on my skin. It took me a lot of trial and error to find a solution to my acne, and even now that my skin has gotten better, I need to continuously pay attention. Like the rest of our bodies, the needs of our skin can change over time. Because of this, it's possible for your HG product to suddenly stop working or not work as well as it used to. So just as you adjust your skincare routine to suit the summer heat or survive cold weather, it's good to have more options for treating acne! LED or Light-emitting diode treatment is one of the newest developments in acne treatments. I was honestly very skeptical when I first heard about this because how light have that kind of effect on the skin, right? Well, the more I researched about it, I got convinced about its credibility. The mechanism is still being studied, but it is thought that LED destroys the bacteria, P. acnes, that cause the acne. LED devices use both red light and blue light, which both have positive effects when exposed on skin. 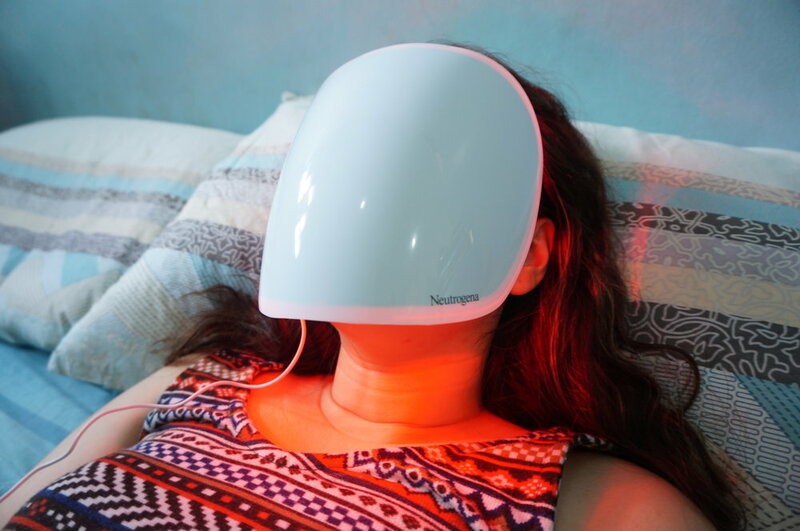 New studies show that red light penetrates deeply into the skin tissues and encourages anti-inflammatory responses from the cells in our skin. It helps stimulate cell renewal, growth factors, collagen replacement, and the formation of new blood vessels. In a nutshell, red light helps the skin heal and renew, resulting in the reduction of inflammation, acne lesions, and size of pores. Blue light also works in a similar way, and even reduces the number of acne lesions or growths that appear on the skin. Studies show that within 2 weeks of continuous use, there is a reduction in number of inflammed pimples and this number drops even more by the 4th week of use. LED treatment works best for inflammed acne, which means that you can use it during your worst breakouts and expect fairly quick results! If you want to give LED treatments a try, the service is often offered by dermatology clinics. It can be a pretty pricey "habit" though so why not consider doing it at home instead? 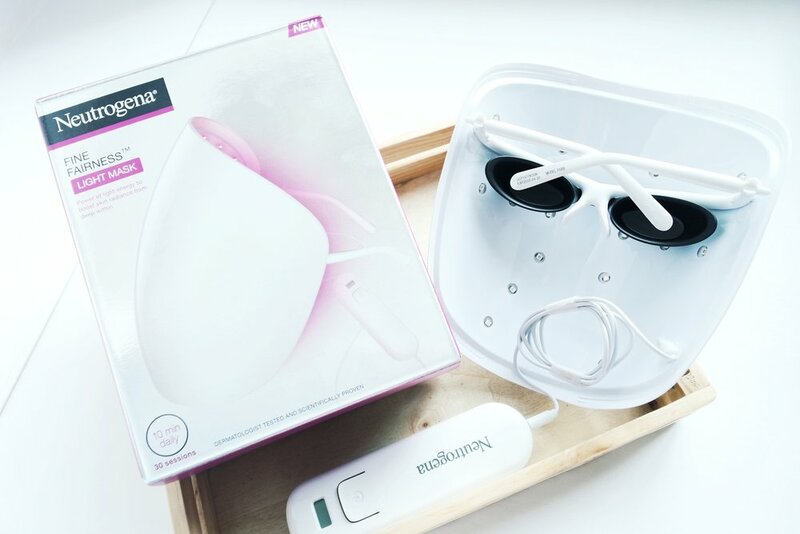 Neutrogena recently released their own light mask that you could use at home! It's good for multiple uses and pretty easy to use. Upkeep is quite simple as well; you just need to buy an activator refill (P1,800) every time it gets used up. The Fine Fairness Light Mask itself costs P4,200, and is available at Watsons stores and on BeautyMNL. One activator is good for 30 masking sessions, so it actually comes out to just P200 per session. That's pretty cheap, and you can do it whenever you want, too! If you prefer a professional service, you can try inquiring at these dermatology clinics about their offered treatment. Have you tried LED treatment for acne? Did they work for you? Let us know! Sadick, N. S. (2008). Handheld LED array device in the treatment of acne vulgaris. J Drugs Dermatol, 7(4), 347-350. Lee, S. Y., You, C. E., & Park, M. Y. (2007). Blue and red light combination LED phototherapy for acne vulgaris in patients with skin phototype IV. Lasers in surgery and medicine, 39(2), 180-188. Morton, C. A., Scholefield, R. D., Whitehurst, C., & Birch, J. (2005). An open study to determine the efficacy of blue light in the treatment of mild to moderate acne. Journal of dermatological treatment, 16(4), 219-223.